Activism consists of efforts to promote, impede, direct, or intervene in social, political, economic, or environmental reform with the desire to make changes in society. Forms of activism range from mandate building in the community (including writing letters to newspapers), petitioning elected officials, running or contributing to a political campaign, preferential patronage (or boycott) of businesses, and demonstrative forms of activism like rallies, street marches, strikes, sit-ins, or hunger strikes. Historically, activists have used literature, including pamphlets, tracts, and books to disseminate their messages and attempt to persuade their readers of the justice of their cause. Research has now begun to explore how contemporary activist groups use social media to facilitate civic engagement and collective action combining politics with technology. The Online Etymology Dictionary records the English words "activism" and "activist" as in use in the political sense from the year 1920 or 1915 respectively. The history of the word activism traces back to earlier understandings of collective behavior and social action. As late as 1969 activism was defined as "the policy or practice of doing things with decision and energy", without regard to a political signification, whereas social action was defined as "organized action taken by a group to improve social conditions", without regard to normative status. Following the surge of so-called "new social movements" in the United States in the 1960's, a new understanding of activism emerged as a rational and acceptable democratic option of protest or appeal. 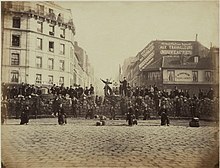 However, the history of the existence of revolt through organized or unified protest in recorded history dates back to the slave revolts of the 1st century BC(E) in the Roman Empire, where under the leadership of former gladiator Spartacus 6,000 slaves rebelled and were crucified from Capua to Rome in what became known as the Third Servile War. In English history, the Peasant's Revolt erupted in response to the imposition of a poll tax, and has been paralleled by other rebellions and revolutions in Hungary, Russia, and more recently, for example, Hong Kong. In 1930 under the leadership of Mahatma Gandhi thousands of protesting Indians participated in the Salt March as a protest against the oppressive taxes of their government, resulting in the imprisonment of 60,000 people and eventual independence for their nation. In nations throughout Asia, Africa and South America, the prominence of activism organized by social movements and especially under the leadership of civil activists or social revolutionaries has pushed for increasing national self-reliance or, in some parts of the developing world, collectivist communist or socialist organization and affiliation. Activism has had major impacts on Western societies as well, particularly over the past century through social movements such as the Labour movement, the Women's Rights movement, and the civil rights movement. Activists can function in a number of roles, including judicial, environmental, internet (technological) and design. Historically, most activism has focused on creating substantive changes in the policy or practice of a government or industry. 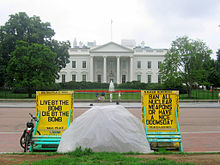 Some activists try to persuade people to change their behavior directly (see also direct action), rather than to persuade governments to change laws. For example, the cooperative movement seeks to build new institutions which conform to cooperative principles, and generally does not lobby or protest politically. Other activists try to persuade people or government policy to remain the same, in an effort to counter change. Activism is not always an activity performed by those who profess activism as a profession. The term activist may apply broadly to anyone who engages in activism, or be more narrowly limited to those who choose political or social activism as a vocation or characteristic practice. Judicial activism involves the efforts of public officials. Arthur Schlesinger, Jr. - American historian, public intellectual, and social critic - introduced the term "judicial activism" in a January 1946 Fortune magazine article titled "The Supreme Court: 1947". Activists can also be public watchdogs and whistle blowers, attempting to understand all the actions of every form of government that acts in the name of the people and hold it accountable to oversight and transparency. Activism involves an engaged citizenry. the protection of the function of critical earth system elements or processes such as the climate. The power of Internet activism came into a global lens with the Arab Spring protests starting in late 2010. People living in the Middle East and North African countries that were experiencing revolutions used social networking to communicate information about protests, including videos recorded on smart phones, which put the issues in front of an international audience. This was the one of the first occasions in which social networking technology was used by citizen-activists to circumvent state-controlled media and communicate directly with the rest of the world. These types of practices of Internet activism were later picked up and used by other activists in subsequent mass mobilizations, such as the 15-M Movement in Spain in 2011, Occupy Gezi in Turkey in 2013, and more. Internet activism may also refer to activism which focuses on protecting or changing the Internet itself, also known as digital rights. The Digital Rights movement consists of activists and organizations, such as the Electronic Frontier Foundation, who work to protect the rights of people in relation to new technologies, particularly concerning the Internet and other information and communications technologies. Activism in literature (not to be confused with literary activism) includes the expression of intended or advocated reforms, realized or unachieved, through published, written or verbally promoted or communicated forms. Economic activism involves using the economic power of government, consumers, and businesses for social and economic policy change. Both conservative and liberal groups use economic activism to as a form of pressure to influence companies and organizations to oppose or support particular political, religious, or social values and behaviors. This is typically done either through preferential patronage to reinforce "good" behavior and support companies one would like to succeed, or through boycott or divestment to penalize "bad" behavior and pressure companies to change or go out of business. Consumer activism consists of activism carried out on behalf of consumers for consumer protection or by consumers themselves. For example, activists in the free produce movement of the late 1700s protested against slavery by boycotting goods produced with slave labor. Today, vegetarianism, veganism, and freeganism are all forms of consumer activism which boycott certain types of products. Other examples of consumer activism include simple living, a minimalist lifestyle intended to reduce materialism and conspicuous consumption, and tax resistance, a form of direct action and civil disobedience in opposition to the government that is imposing the tax, to government policy, or as opposition to taxation in itself. Shareholder activism involves shareholders using an equity stake in a corporation to put pressure on its management. The goals of activist shareholders range from financial (increase of shareholder value through changes in corporate policy, financing structure, cost cutting, etc.) to non-financial (disinvestment from particular countries, adoption of environmentally friendly policies, etc.). Design Activism locates design at the centre of promoting social change, raising awareness on social/political issues, or questioning problems associated with mass production and consumerism. Design Activism is not limited to one type of design. Art Activism or Artivism utilizes the medium of visual art as a method of social or political commentary. Activists employ many different methods, or tactics, in pursuit of their goals. Decisions over what tactics to use or not may be planned carefully in advance, result from negotiations with law enforcement such as when and where to hold a rally, or be made in the heat of the moment. The tactics chosen are significant because they can determine how activists are perceived and what they are capable of accomplishing. For example, nonviolent tactics generally tend to garner more public sympathy than violent ones and are more than twice as effective in achieving stated goals. Charles Tilly developed the concept of a “repertoire of contention,” which describes the full range of tactics available to activists at a given time and place. This repertoire consists of all of the tactics which have been proven to be successful by activists in the past, such as boycotts, petitions, marches, and sit-ins, and can be drawn upon by any new activists and social movements. Activists may also innovate new tactics of protest. These may be entirely novel, such as Douglas Schuler's idea of an "activist road trip", or may occur in response to police oppression or countermovement resistance. New tactics then spread to others through a social process known as diffusion, and if successful, may become new additions to the activist repertoire. Many contemporary activists now utilize new tactics through the Internet and other information and communication technologies (ICTs), also known as Internet activism or cyber-activism. Some scholars argue that many of these new tactics are digitally analogous to the traditional offline tools of contention. Other digital tactics may be entire new and unique, such as certain types of hacktivism. Together they form a new "digital repertoire of contention" alongside the existing offline one. The rising use of digital tools and platforms by activists has also increasingly led to the creation of decentralized networks of activists that are self-organized and leaderless, or what is known as franchise activism. Some groups and organizations participate in activism to such an extent that it can be considered as an industry. In these cases, activism is often done full-time, as part of an organization's core business. Many organizations in the activism industry are either non-profit organizations or non-governmental organizations with specific aims and objectives in mind. Most activist organizations do not manufacture goods, but rather mobilized personnel to recruit funds and gain media coverage. ^ Tarrow, Sidney (1998). Power in Movement: Social Movements and Contentious Politics (2nd ed.). Cambridge, UK: Cambridge University Press. ISBN 9781139076807. OCLC 727948411. ^ a b Goodwin, Jeff; Jasper, James (2009). The Social Movements Reader: Cases and Concepts (2nd ed.). Wiley-Blackwell. ISBN 9781405187640. ^ Obar, Jonathan; et al. (2012). "Advocacy 2.0: An Analysis of How Advocacy Groups in the United States Perceive and Use Social Media as Tools for Facilitating Civic Engagement and Collective Action". Journal of Information Policy. SSRN 1956352. ^ Obar, Jonathan (2014). "Canadian Advocacy 2.0: A Study of Social Media Use by Social Movement Groups and Activists in Canada". Canadian Journal of Communication. SSRN 2254742. ^ Harper, Douglas. "activism". Online Etymology Dictionary. Retrieved 17 December 2015. ^ Harper, Douglas. "activist". Online Etymology Dictionary. Retrieved 17 December 2015. ^ Park, Robert; Burgess, Ernest (1921). Introduction to the Science of Sociology. Chicago: University of Chicago Press. ^ Merton, Robert (1945). Social Theory and Social Structure. New York: Free Press. ^ Hoffer, Eric (1951). The True Believer: Thoughts on the Nature of Mass Movements. New York: Harper & Row. ^ Parsons, Talcott (1937). The Structure of Social Action. New York: Free Press. ^ Olson, Mancur (1965). The Logic of Collective Action: Public Goods and the Theory of Groups. Cambridge, Mass. : Harvard University Press. ^ Gamson, William A. (1975). The Strategy of Social Protest. Homewood, IL: Dorsey Press. ISBN 9780256016840. ^ Tilly, Charles (1978). From Mobilization to Revolution. Reading, Mass. : Addison-Wesley. ^ Czech, Kenneth P. (April 1994). "Ancient History: Spartacus and the Slave Rebellion". HistoryNet. Retrieved 12 August 2018. ^ Pletcher, Kenneth (14 December 2015). "Salt March". Encyclopaedia Britannica. ^ Goodwin, Jeff (2001). No Other Way Out: States and Revolutionary Movements, 1945-1991. Cambridge, UK: Cambridge University Press. ^ Meyer, David; Tarrow, Sidney (1998). The Social Movement Society: Contentious Politics for a New Century. Rowman & Littlefield. ^ "Introduction to Activism". Permanent Culture Now. Permanent Culture Now. Retrieved 20 December 2011. ^ Kmiec, Keenan D. (October 2004). "The Origin and Current Meanings of Judicial Activism". California Law Review. 92 (5): 1441–1478. doi:10.15779/Z38X71D. ^ Sliwinski, Michael (21 January 2016). "The Evolution of Activism: From the Streets to Social Media". Law Street. Retrieved 6 February 2016. ^ a b Zeynep, Tufekci (2017). Twitter and Tear Gas: The Power and Fragility of Networked Protest. New Haven: Yale University Press. ISBN 9780300215120. OCLC 961312425. ^ Hector, Postigo (2012). The digital rights movement : the role of technology in subverting digital copyright. Cambridge, Mass. : The MIT Press. ISBN 9780262305334. OCLC 812346336. ^ Carried Interest: "Activist Investor Definition" . Retrieved 17 July 2015. ^ Zunes, Stephen; Asher, Sarah Beth; Kurtz, Lester (1999). Nonviolent Social Movements: A Geographical Perspective. Malden, Mass. : Blackwell. ISBN 978-1577180753. OCLC 40753886. ^ Chenoweth, Erica; Stephan, Maria J. (2013). Why Civil Resistance Works: The Strategic Logic of Nonviolent Conflict. New York: Columbia University Press. ISBN 9780231156837. OCLC 810145714. ^ a b Tilly, Charles; Tarrow, Sidney (2015). Contentious Politics (Second revised ed.). New York, NY: Oxford University Press. ISBN 9780190255053. OCLC 909883395. ^ Schuler, Douglas (2008). Liberating Voices: A Pattern Language for Communication Revolution. Cambridge, Massachusetts: MIT Press. ISBN 9780262693660. ^ "Activist Road Trip". Public Sphere Project. 2008. Retrieved 1 November 2015. ^ McAdam, Doug (1983). "Tactical Innovation and the Pace of Insurgency". American Sociological Review. 48 (6): 735–754. doi:10.2307/2095322. JSTOR 2095322. ^ Ayres, Jeffrey M. (1999). "From the Streets to the Internet: The Cyber-Diffusion of Contention". The Annals of the American Academy of Political and Social Science. 566 (1): 132–143. doi:10.1177/000271629956600111. ISSN 0002-7162. ^ Meikle, Graham (2002). Future Active: Media Activism and the Internet. Annandale, N.S.W. : Pluto Press. ISBN 978-1864031485. OCLC 50165391. ^ Samuel, Alexandra (2004). Hacktivism and the Future of Political Participation. Harvard University: Doctoral Dissertation. ^ Earl, Jennifer; Kimport, Katrina (2011). Digitally Enabled Social Change: Activism in the Internet Age. Cambridge, Mass. : MIT Press. ISBN 9780262295352. OCLC 727948420. ^ Rolfe, Brett (2005). "Building an Electronic Repertoire of Contention". Social Movement Studies. 4 (1): 65–74. CiteSeerX 10.1.1.457.9077. doi:10.1080/14742830500051945. ISSN 1474-2837. ^ Fuchs, Christian (2006). "The Self-Organization of Social Movements". Systemic Practice and Action Research. 19 (1): 101–137. doi:10.1007/s11213-005-9006-0. ISSN 1094-429X. ^ Clay, Shirky (2008). Here Comes Everybody: The Power of Organizing without Organizations. New York: Penguin Press. ISBN 9781594201530. OCLC 168716646. ^ Castells, Manuel (2015). Networks of Outrage and Hope: Social Movements in the Internet Age (2nd ed.). Cambridge, UK: Polity. ISBN 9780745695754. OCLC 896126968. ^ Carne, Ross (2013). The Leaderless Revolution: How Ordinary People will Take Power and Change Politics in the 21st Century. New York: Plume. ISBN 9780452298941. OCLC 795168105. ^ Fisher, Dana R. (14 September 2006). "The Activism Industry". The American Prospect. Archived from the original on 5 December 2010. Deflem, Mathieu. 2019. "The New Ethics of Pop: Celebrity Activism Since Lady Gaga." Pp. 113-129 in Pop Cultures: Sconfinamenti Alterdisciplinari, edited by Massimiliano Stramaglia. Lecce-Rovato, Italy: Pensa Multimedia.